Antonia Hirsch, Vox Pop, 2008. 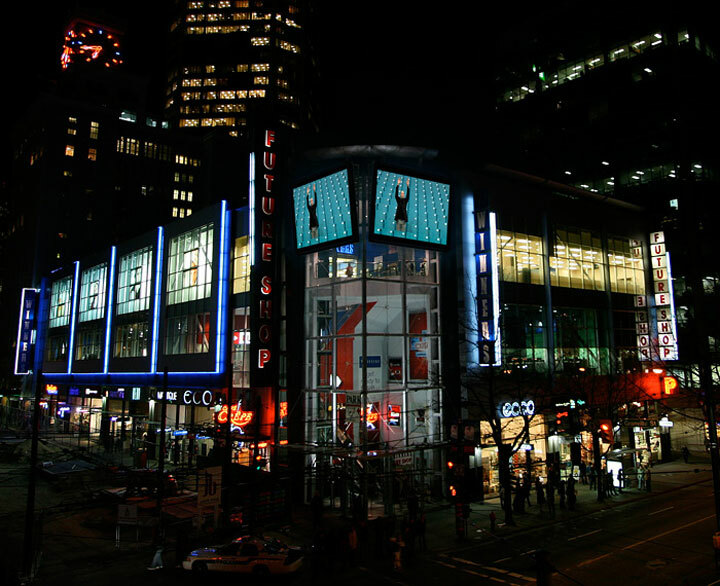 Vox Pop was a two-part video project incorporated within advertisements displayed on dual video billboards above the intersection of Granville and Robson Streets in downtown Vancouver. Silent, and consisting of two, one-minute segments, Antonia Hirsch‘s Vox Pop drew attention to the spaces and behaviours through which we are encouraged to perform and celebrate shared values in a subtly provocative investigation of the individual within the crowd.